More than 200 member agencies of the Association of Alberta Registry Agents (AARA) are proud to offer one-stop service to Albertans in over 150 communities throughout the province. Every AARA member agency offers a range of services to Albertans, giving efficient, secure and convenient service throughout the province. 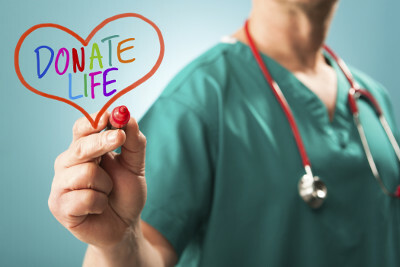 You can help save a life - or make life better for many people - by registering your intent to donate your organs and tissues with the Alberta Organ and Tissue Donation Registry. The registry is a database that captures your donation choices, which will then be accessible to donation professionals. Register for free through an Alberta registry agent. You will need your Alberta Health Care card and photo ID. Sign up for driver’s licence, ID card, and vehicle registration renewal reminders, sent to you by email or text here! 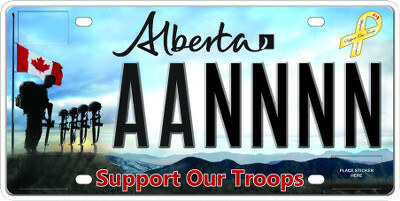 The Support Our Troops licence plate honours current and former members of the Canadian Armed Forces. The majority of the revenue from the sale of this plate will go towards the Canadian Forces Morale and Welfare Services. The design features artwork in honour of the first four Alberta-based Canadian soldiers whose lives were lost in Afghanistan in April 2002. This plate is only available for vehicles registered in the passenger class. You can buy them in person at any registry agent location in Alberta. To purchase this plate, you must show ID with an Alberta address. Albertans can now register for the Alberta Health Care Insurance Plan or update their information at member registry agencies across the province. The service is provided at no cost. Registry agents will process applications. Alberta Health and Wellness will mail the health card directly to the applicants. To maintain confidentiality and security of applicants' personal data, agents do not have access to any individual's health information. Note: The two Alberta Health and Wellness offices previously located in downtown Calgary and Edmonton closed on March 31, 2009. Please make sure to print off and complete your form before coming in. You can obtain forms directly from Alberta Health and Wellness. In addition to the primary services offered by all AARA member agencies, some also offer those listed below. Please contact the agency nearest you to ensure the service you want is available at that location. The Government of Alberta provides versions of many of the forms you need to obtain government services. Visit the Service Alberta website at www.servicealberta.gov.ab.ca/index.cfm for the forms you need.